Disclaimer: "All rights reserved to The Wendy's Company®. This is solely a not-for-profit fan activity". This is so cute >3! Aww she looks so cute! 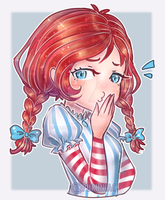 This is the best Wendy's art I've ever seen! Beautiful drawing, she's so cute ! Omg~ She's so cute! I love everything about it~! Making ma so hungry tho! So cute! Can someone care to explain how this became a meme? Wendy's started roasting people on Twitter. It was so savage. Shes so cute I love her! Are you going to do more of these? At a time when people are making the Smug or Savage Wendy, it's also nice to see the Cute variety. Behind those adorable eyes, there's a roasting master. Wow already! XD You are most welcome. 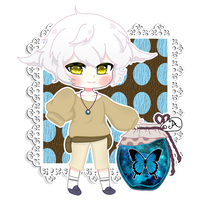 ^w^ You have a rather cute style that works well. OH MAH GOSH!! Must go give it some love! Not gonna lie. I love Wendy's and this picture is so cute! I haven't really gone there in a while, but great picture! It's waayyyyyy better than fast food, it's Wendy's.